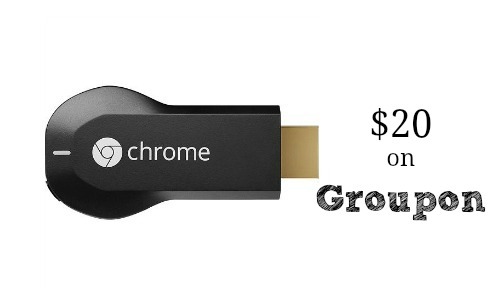 Looking for a great deal on a Google Chromecast? Groupon is offering a refurbished Chromecast for $20. With a Chromecast you can watch anything from your phone, tablet or computer and project it on your TV. They usually cost $35 on Amazon. I’m a huge fan of refurbished products. They are in like new condition and usually even come with a warranty. This Chromecast has a one year warranty.